I once asked The Burger Beast “If you could have a Burger with anyone alive, or dead, fictional or real, who would it be and where would you take them?” His answer: “I’d take Elvis to have a Guberburger at Wheel Inn.” We’re recreating that Burger as part of the 10th anniversary screening of “Hamburger America” with George Motz for NY Burger Week. I’d invite Sef to attend, eat the Burger and do my best Shake, Rattle and Roll for him but he’s going to be busy in his home of Miami, FL. 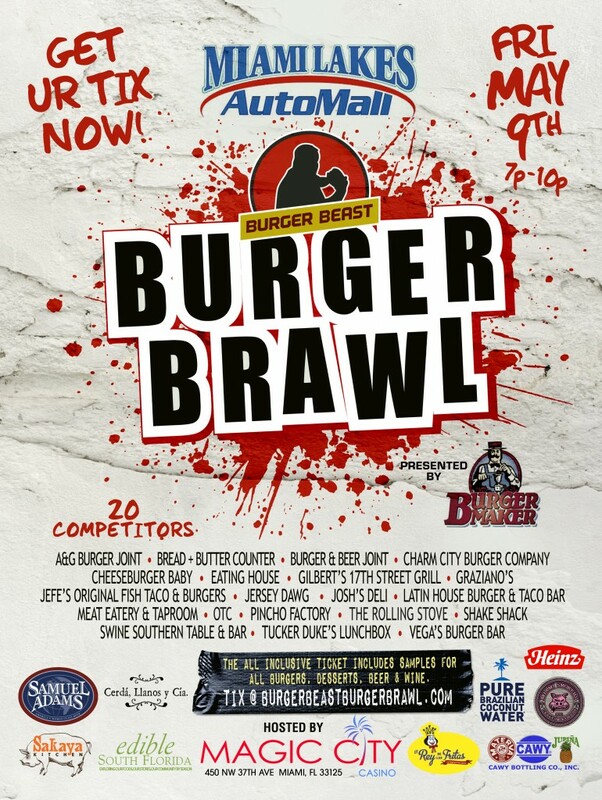 On Friday May 9th, The Burger Beast, after 5 and half years of writing his blog has put together what he believes to be the “Best Burger Competition line-up in South Florida ever.” This massive Burger event is called the Burger Beast Burger Brawl or 4B for short. On Friday May 9th from 7 to 10PM at Magic City Casino, come out and celebrate National Hamburger Month with us at the inaugural Burger Beast Burger Brawl sponsored by Miami Lakes Auto Mall and presented by Burger Maker. Your vote counts! That’s right, every attendee will cast one vote for their favorite Burger Joint. Whoever receives the most will be named Burger Brawl Champion and receive a soon to be coveted one of kind trophy that can be displayed at their restaurant. Get your tickets now and I will see you there! 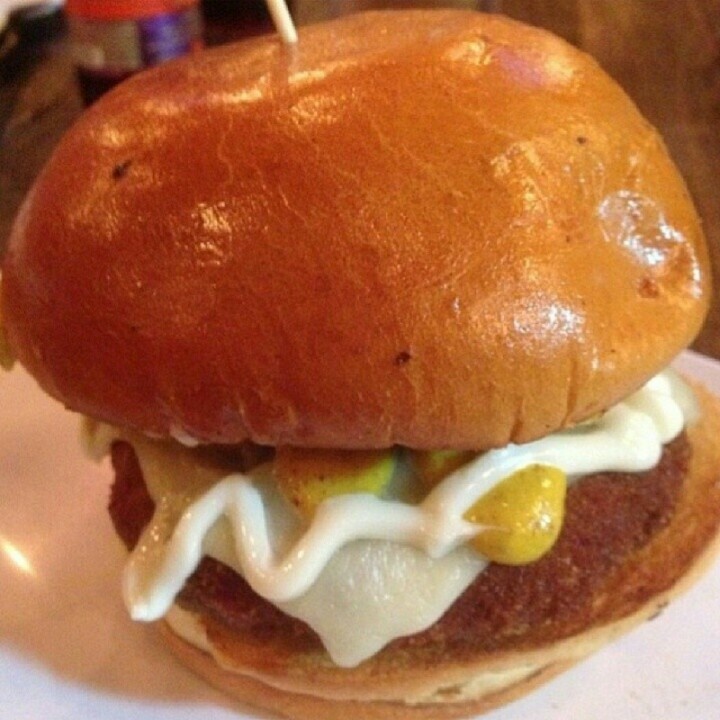 Little Kahuna: Charred Pineapple, Fried Onions, Mango Chili Sauce and Jack Cheese on a Burger. 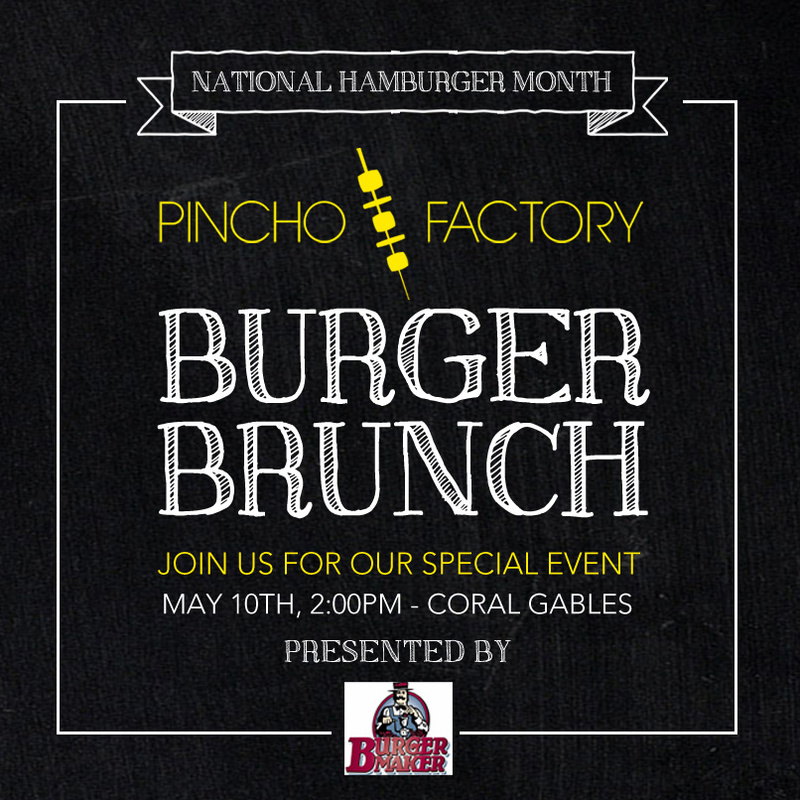 The Pincho Factory has made their name of serving unique and quality Foods, especially around their Burger menu. Ever since The Burger Beast told me about them, I’ve wanted to eat there. It was cemented once I saw the Burger Beast take George Motz there on the Miami episode of “Burger Land.” Thanks to an introduction to by Burger Beast to owner Nedal, it’s now happening. 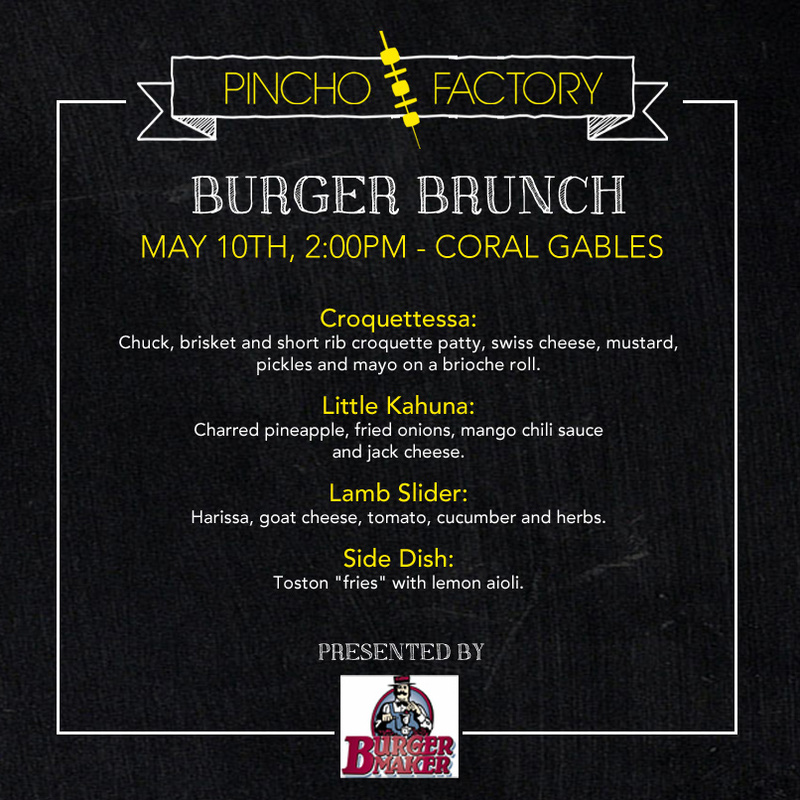 On Saturday, May 10th, The Pincho Factory will turn over there Coral Gables location to the Burger curious of South Florida for an off-menu Burger Brunch. You’ll be treated to 4 of their speciality items that are constantly being requested; a Chuck Brisket Croquetessa, 2 different Burgers and Toston Fries. It will also come with a beer tasting, from Lagunitas. Don’t wait to get your tickets, there is only one seating and only a limited amount of Burger fanatics will get to join myself and The Burger Beast for this awesome one-time meal. This entry was posted in National Hamburger Month, South Florida Burger Week and tagged Bar, Beer, best burger, breweries, burger, burger beast, burger brawl, burger brunch, burger maker, ciancio, craft beer, croquetessa, david, events, Festival, food festival, food film festival, gourmet burger, happy hour, magic city casino, miami, pairing, party, pincho factory, restaurant, rev, south florida, the burger week, tickets. Bookmark the permalink.